At Easter time, as at Christmas, Prague has outdoor markets all over town. 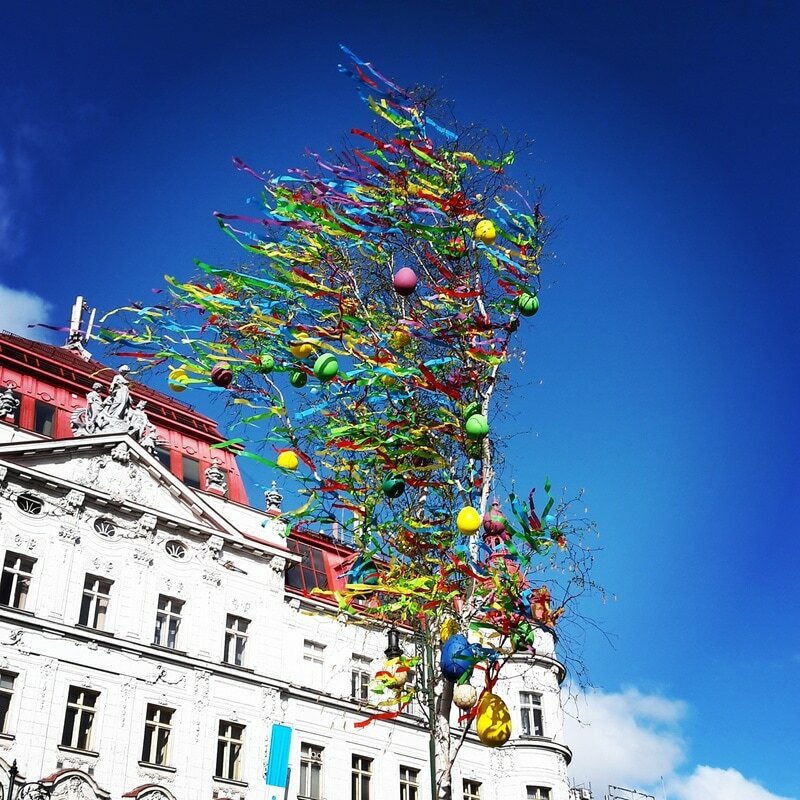 Though the Christmas markets might offer more "sparkle," with twinkling lights all over the city in the dark hours of December's very short days, the Easter markets blossom with the hope and promise of spring, new beginnings, and longer days highlighting bright colors. 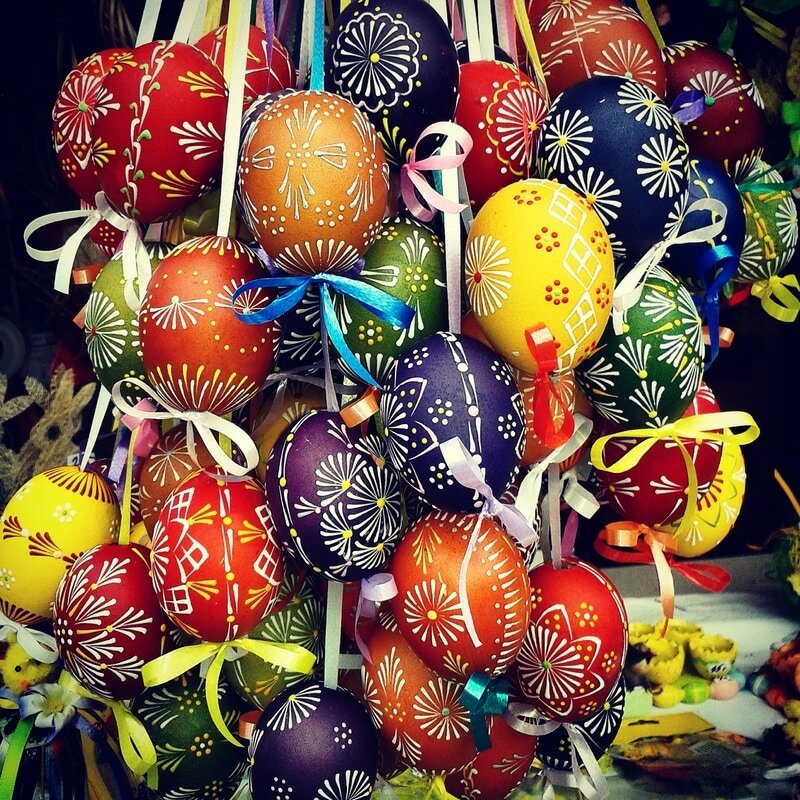 The hand-painted eggs pictured below are ubiquitous at Prague's Easter markets, and as beautiful as these are, some are even more elaborate. And they are made from real eggshells, though some wooden ones can be found, too. My customized private Prague tours can take you to these off-the-beaten-path markets and other places as well. And my Prague guidebook will tell you about more of the city's outdoor markets held throughout the year.